Churches Sconeathon Celebrations set to Tempt the Tastebuds! One of the largest festivals of its kind in Europe, and now in its 23rd year, the West Lindsey Churches Festival will see 95 churches and chapels across this Lincolnshire district opening their doors on the weekends of May 11-12 and 18-19, welcoming over 9,000 visitors, with the offer of scones of all shapes and tastes in what’s believed to be Lincolnshire’s first “Sconeathon”! With free entry to all, over half of the participating churches are gearing up for the “Sconeathon Challenge”, creating wonderful and intriguing flavoured scones for visitors to sample as they travel from church to church. The challenge for the festival visitor is to taste as many types of scones as they can over the four days, sharing photos in social media using the hashtag #LincsSconeathon. 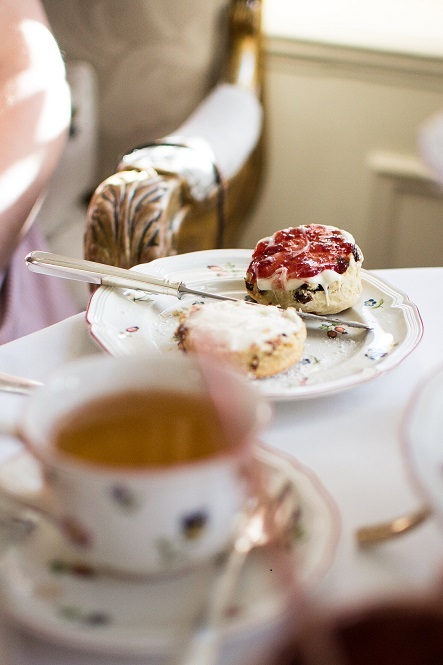 Riby’s St Edmunds is hosting a “Scone Off” on 18th May, inviting visitors to try their hand at baking four scones in one of several categories for a panel of judges (including Lincolnshire celebrity chef Rachel Green) to select the winners! At St Helen’s in Willingham by Stow, there is even an exhibition on the local production of all the ingredients used in making this tasty teatime treat. The churches festival is also a joyful way to encourage families to enter a church, perhaps for the first time, and discover these “mini-museums” that are literally on the doorstep of people’s homes, but often forgotten and sometimes sadly neglected. Other attractions include delicious lunches being served in around 25 churches, homeade cakes served in many more and a host of free music, including 15 organ recitals and medieval, renaissance and baroque music performed by Sixteen Eighty Five. Full details of what each church is and an interactive map can be found on the festival website at www.churchesfestival.info. Brochures will also be placed in libraries, Tourist Information Centres and participating churches, and can be requested by emailingchurchesfestival.info@gmail.com.